The Harris County Flood Control District and members of county commissioners’ court continue to hold meetings around the county to present proposals for projects attempting to reduce the hazard of flooding. 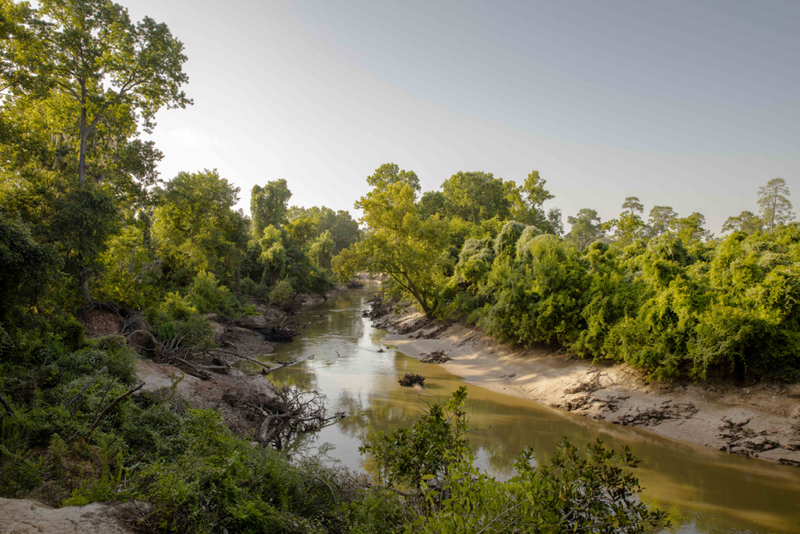 The meeting about projects proposed in the Buffalo Bayou watershed will be held on Monday, July 30, from 6 to 8 p.m. at the Memorial Drive United Methodist Church, 12955 Memorial Drive in Houston. A meeting to present projects proposed for the Barker Reservoir watershed is scheduled for Wednesday, Aug. 1, from 6 to 8 p.m. at Memorial Parkway Junior High, 21203 Highland Knolls Drive in Katy. Buffalo Bayou flows from its headwaters near Katy into and through Barker Dam. The projects are to be funded with the proceeds of a $2.5 billion bond issue should the voters approve on August 25. The bonds would be issued over a period of ten to fifteen years, according to the flood control district, and repaid through a property tax increase of no more than two-three cents per $100 of home valuation. Homeowners with an over-65 or disabled exemption and a home worth $200,000 or less would not pay any additional taxes, according to the district. Most of the projects proposed are projects that had long been planned. For instance, a controversial project to remove forest and excavate basins to capture and temporarily hold overflow on the south bank of Buffalo Bayou in Terry Hershey Park is listed with a $10 million cost estimate. The project in its initial stages would allegedly create 60-100 acre-feet of temporary storage alongside the bayou. The linear detention, siphoning flow out of the bayou, is planned to compensate for eventual additional City of Houston drainage into the bayou from neighborhood streets. Barker and Addicks dams both drain into Buffalo Bayou, and overflow from Cypress Creek on the rapidly developing Katy Prairie in northwest Harris County also drains into the overburdened Addicks Reservoir, adding to the pressure of runoff into Addicks and the bayou. Other than the Hershey Park detention project, some $21 million is slated for a new detention basin north of John Paul’s Landing on Upper Langham Creek, which drains into Addicks. However, most of the projects listed for these watersheds mainly focus on repairing channels and improving conveyance – making more stormwater flow faster into and through the reservoirs. This has the potential to cause more problems and more flooding. Modern practice elsewhere is to focus on slowing the flow, making room for the river with wider floodplains. We would hope for more money to be spent on land aquisition, buyouts in floodplains, preservation of undeveloped land, forest, wetlands, prairies, and riparian vegetaton; creation of green space, restoring meanders, and programs to encourage slowing of rain runoff beginning with individuals and neighborhoods. There are also funds proposed to be used in collaboration with Army Corps of Engineers, which owns and operates Addicks and Barker, to evaluate the effectiveness and operation of those 70-year-old dams. A complete list of projects can be found on the flood control district’s website. The website also offers a way to make comments about the projects. The meetings are not set up for the public to engage officials or voice opinions. They are informative only – with numerous stations staffed by flood control personnel to explain projects. However, paper and pencils are provided for citizens to write comments. Supporting Costly Engineering to Slow the Flooding River. Spending Money to Stop the River Slowing For Free. Updated April 23, 2017 — The Harris County Flood Control District reports that repair costs through March 2017 are $1.25 million. Terry Hershey Park remains closed until construction work is complete. Harris County Precinct Three Commissioner Steve Radack called to comment on our article criticizing unnecessarily costly and destructive “repairs” to the north bank of Buffalo Bayou in Terry Hershey Park. The six-mile long park is in Precinct Three in far west Houston and Commissioner Radack is the boss there. Harris County Precinct Three Commissioner Steve Radack. Official photo courtesy of Steve Radack. For background: the naturally meandering bayou in Terry Hershey Park was stripped and straightened in the 1940s and ‘50s. Last spring high waters from record rains and extended high flows from the federal dams immediately upstream ate away at the bank in places and damaged the asphalt hike-and-bike trail on the north side. We pointed out that this had occurred where the old meanders or bends were. The bayou, we said, was seeking out its historic meanders, adjusting to the flow. Our point was that it would make more sense, in accordance with the most advanced river management practices across the country and around the world, to move the asphalt trail slightly away from the very edge of the water and allow the river room to move and restore itself. This would be far cheaper, prettier and more natural, and healthier for the bayou, the beneficial trees and plants and creatures that grow there, and for the water flowing through it to the bay. Doing that rather than hardening the bank in an artificial straight line is also less likely to cause flooding and erosion downstream and less likely to require expensive repairs all over again. It’s also federal policy. Is that all true? Beg pardon, but no. But here’s a puzzle: Radack supports spending tens of millions in public funds to carve up the banks and engineer some two dozen in-channel detention basins on the bayou in Terry Hershey Park. (See below.) But he opposes allowing the bayou to carve out for free its own detention by widening and restoring its old bends. Instead he approves spending taxpayer funds to keep the bayou from doing that. Does that make sense? Seems contradictory to us. Here is the latest photo from Jim Olive of that lovely bend in Buffalo Bayou we have been documenting through the seasons since the summer of 2014. This most recent photo was taken by Jim at around 8 a.m. on Friday, July 8, 2016, from the same high bluff in Memorial Park looking downstream with the River Oaks Country Club on the opposite bank. The record high flows from the reservoirs behind Addicks and Barker dams in western Harris County had finally drained the last of the waters impounded from the record April 18 Tax Day rains, and the flow in the bayou had dropped to its base flow of around 100-200 cubic feet per second, as measured by the gauge at Piney Point. To see all the photos of this same spot since 2014, go to A Bend in the River under Photos and Films. Summer on Buffalo Bayou after the record high water from the spring rains had finally drained from Barker and Addicks dams upstream. Taken on July 8, 2016, by Jim Olive from the same high bank in Memorial Park looking downstream with the River Oaks Country Club on the right. The last of the storm water from the April 18 Tax Day floods has passed finally through the gates of Addicks and Barker dams in western Harris County. (Almost, not quite. See comment below.) The reservoirs behind those 1940s-era earthen dams on Buffalo Bayou are normally empty in order to be ready to impound rainfall and runoff that would flood central Houston downstream. The Army Corps of Engineers, which owns and operates the dams, was forced to release water through the dams at a high rate of flow – between 2,000 and 3,000 cubic feet per second (cfs) and more — for nearly three months in order to empty the record-high reservoirs, as frequent rains kept adding to the water level. Base flow in Buffalo Bayou, as measured by the USGS gauge at Piney Point, is between 100 and 200 cfs. As of today the flow was still high – over 1,000 cfs. 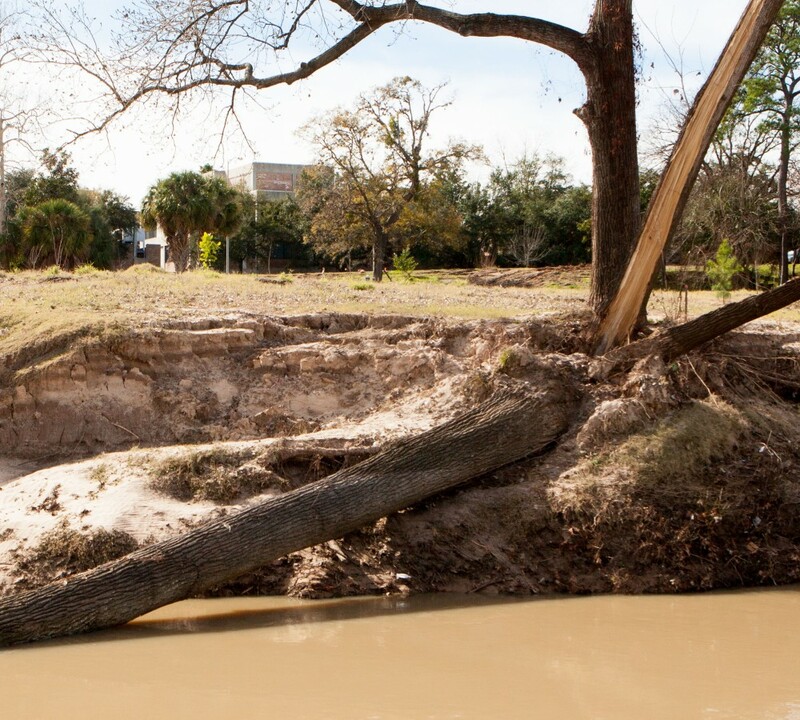 The dams on Buffalo Bayou are classified “extremely high risk,” in large part due to the damage that would occur to the nation’s fourth most populous city if the dams were to fail. A $72 million construction project to repair seepage problems and build new conduits has been delayed due to the high water level in the reservoirs. 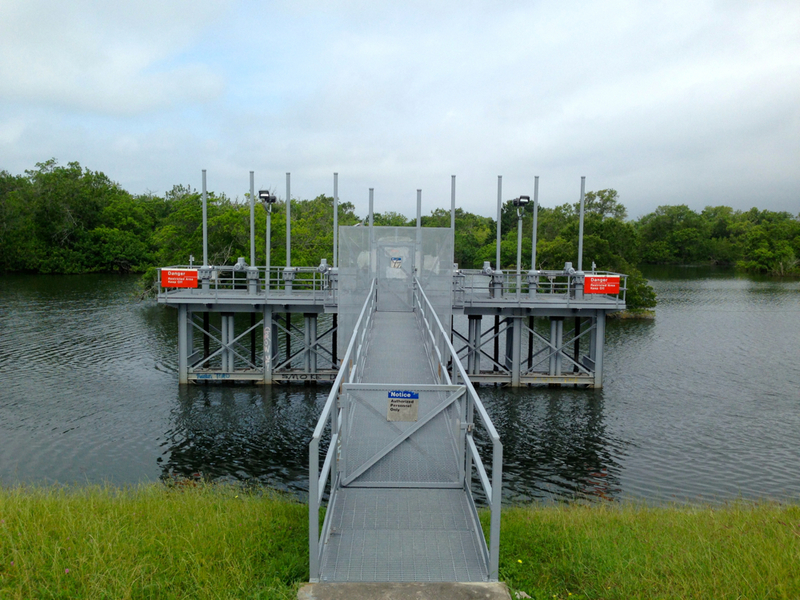 You can listen to what Richard Long, who manages the dams for the Corps, had to say about the situation this morning to Dave Fehling of Houston Public Matters. Long is the supervisory natural resources manager for the Corps’ Galveston District and has been working at the dams for 35 years. And look for a report from us soon about the impact of the high waters on Buffalo Bayou. Richard Hyde, a geologist who lives in neighboring Bear Creek Village, reports that the herds of deer that roam the 25,000 acres of federally-owned wooded parkland in the reservoirs seem greatly reduced. And sadly, Buffy the Bison, rescued in April from the flooded small zoo in Bear Creek Park, died shortly thereafter. Barker Dam and Reservoir around midday on Sunday, June 5, 2016, as the dam gates were releasing impounded stormwater into Buffalo Bayou. The 12,000-acre reservoir is located just west of Highway 6. We have been watching this magnificent cottonwood on the south bank of Buffalo Bayou in Buffalo Bayou Park. 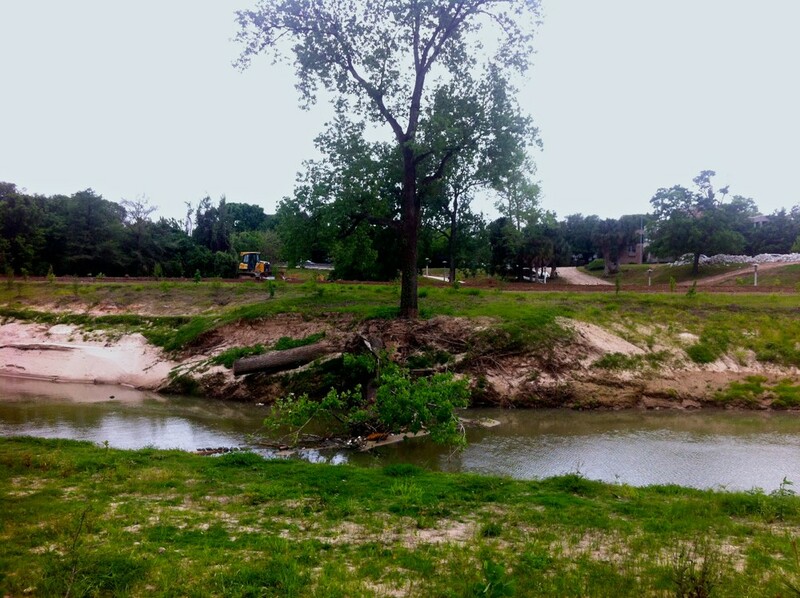 Beginning in 2012 the Harris County Flood Control District realigned the banks and removed a lot of trees and stabilizing vegetation from the banks of the bayou between Sabine and Shepherd streets for its “natural stable channel design” improvements in the park. Those “channel conveyance” alterations left many of the few remaining large trees on the weakened banks in a vulnerable state. In the Fall of 2015 part of this grand old tree broke apart. And now, finally, sadly, the great tree has fallen. Others will go eventually. Big trees fall into the bayou all the time. It’s part of the natural process, and fallen trees collect sediment for bank building, provide fish and wildlife habitat, and slow storm waters. But trees, whose massive roots help hold the bank together, are not supposed to fall in the water because in the name of progress we dug up and destroyed the structure of the surrounding banks, breaking up the intricate root systems of the vegetation that had been there for a very long time. Still, we have had unusually high rainfall and stream flow in our bayous. The banks in many places are now lush with new green growth and wildflowers. For nearly two months we have had record high flows in Buffalo Bayou as the Army Corps of Engineers attempts to empty the flood control reservoirs behind Barker and Addicks dams in western Harris County. We have reports of trees downed all along the bayou. Watch this slideshow of the great cottonwood as it maintained its lonely vigil until the end. Cottonwood breaks apart and part of it falls as Buffalo Bayou Park is under construction. Photo December 21, 2014. Cottonwood downed in Buffalo Bayou Park on south bank west of Waugh by loss of banks and stabilizing vegetation "restored" by the Harris County Flood Control District. Several more mature trees were lost since this photo was taken Jan. 26, 2015, by Jim Olive. Remaining cottonwood maintaining solo on south bank in April 2015. 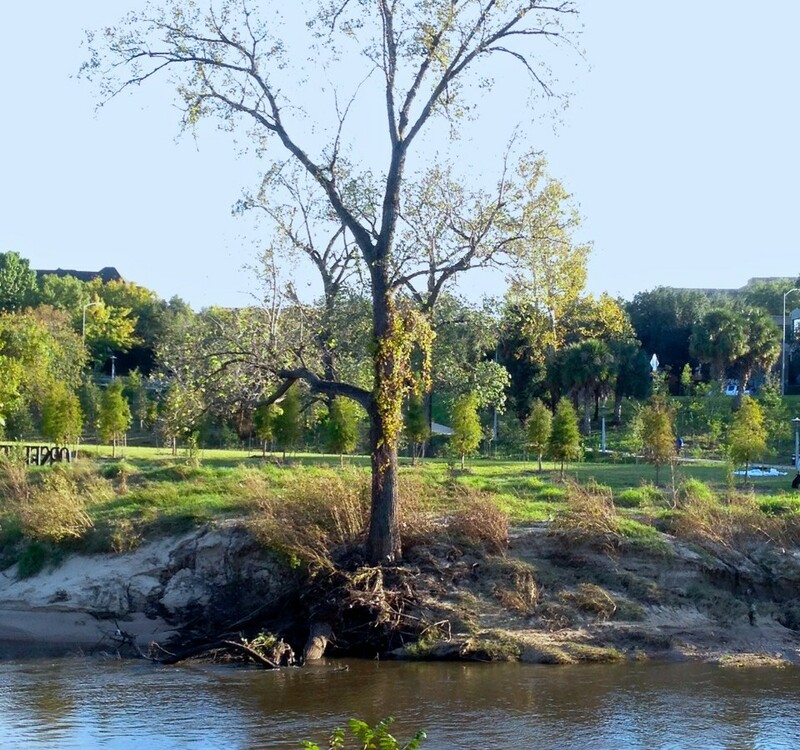 Lone cottonwood still standing on south bank of Buffalo Bayou in November 2015 after parts of it were downed the previous winter. Cottonwood still standing on March 4, 2016, having survived the Memorial Day and Halloween floods. Houston photographer Jim Olive took this photo of Barker Dam and Reservoir in west Houston on Sunday, June 5, at around 11:30 a.m. 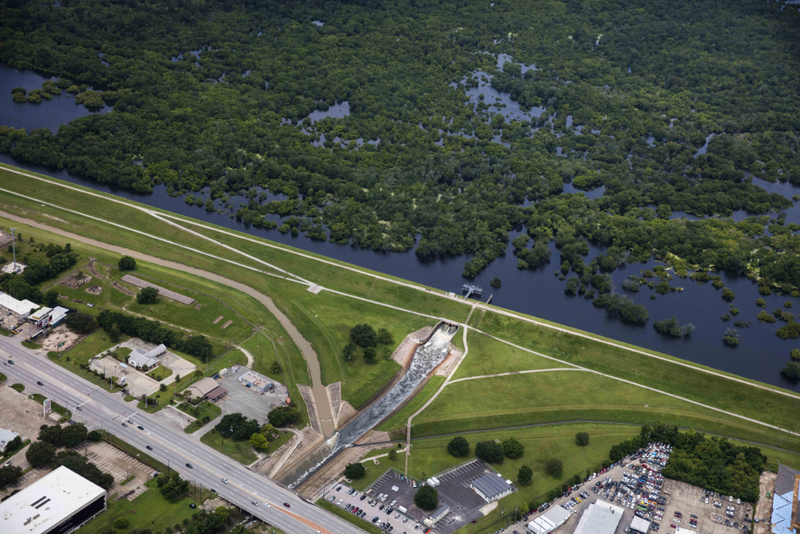 The dam gates had just been opened, and water from recent rains was pouring from the reservoir’s temporary lake into Buffalo Bayou, which flows through Barker Reservoir through the center of Houston and into Galveston Bay. Water impounded from several creeks behind nearby Addicks Dam also flows into Buffalo Bayou below Barker Dam. The dams were built in the 1940s to protect downtown Houston from catastrophic flooding. 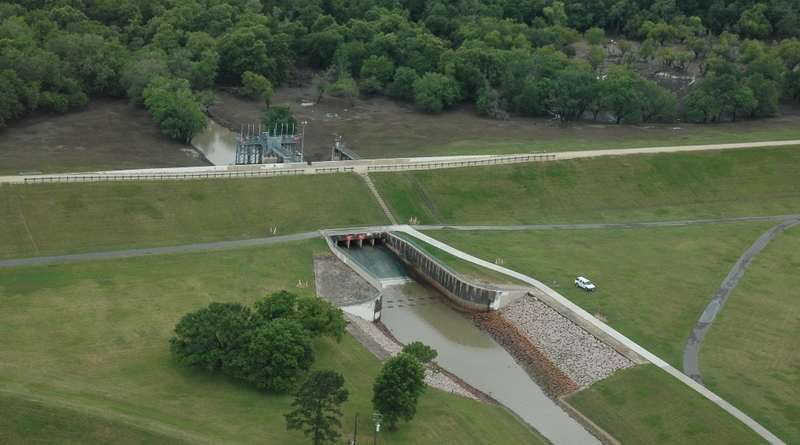 Barker Dam and Reservoir around midday on Sunday, June 5, 2016, as the dam gates were releasing impounded stormwater into Buffalo Bayou. The 12,000-acre reservoir is located just west of Highway 6. Photo by Jim Olive. Record rains that fell on west Houston and elsewhere on April 18 filled the two flood control reservoirs with unprecedented amounts of water. Rains since then have slowed releases from the normally empty basins, which contain large, forested parks and recreational facilities. The Army Corps of Engineers, which owns and operates the dams, closes the dam gates during a rain, and rain adds more water to the reservoirs, which must be emptied as quickly as possible in order to create room to hold back future stormwater. Maximum capacity, the volume beyond which water will begin to spill around the ends of the dams, is 199,643 acre-feet for Addicks and 209,600 acre-feet for Barker. Addicks Reservoir is just to the north of Barker on the northern side of Interstate 10. The combined peak pool behind the two reservoirs was more than 206,000 acre-feet around April 22, with Addicks reaching some 122,000 acre-feet or a little more than two-thirds of maximum capacity. Despite record high extended releases from the dams for the last seven weeks, the two reservoirs have been drained by less than half, standing at a combined volume of 114,210 acre-feet on Tuesday early afternoon. Why so much water for so long in Buffalo Bayou? The water in the normally empty reservoir had dropped only a few feet by the time we stood on the earthen dam looking down at the dark, opaque blue-gray surface. After almost a month, the rippling water below was still some twenty-three feet deep, and extended as far as we could see along the thirteen-mile long dam and far into the thousands of acres of flooded woods. It had taken only a little more than twenty-four hours for the rains that began on April 18 to fill the vast flood control reservoirs in west Houston with a record amount of water: a total of more than 206,000 acre feet, a massive amount of water. Imagine 206,000 acres covered in a foot of water. Enough to cover more than eight times the acreage of both reservoirs to a depth of one foot. That much water would take an estimated four weeks to drain, according to reports at the time. But that was only if there was no more rain. There was more rain, and it was taking much longer. The reservoirs, vast wooded parks with recreational facilities and nature paths, are still draining. As of May 24, the combined total of the two reservoirs was still about 90,000 acre-feet, down to a little less than half. And Buffalo Bayou was still flowing high and fast, higher and faster for longer than ever before. 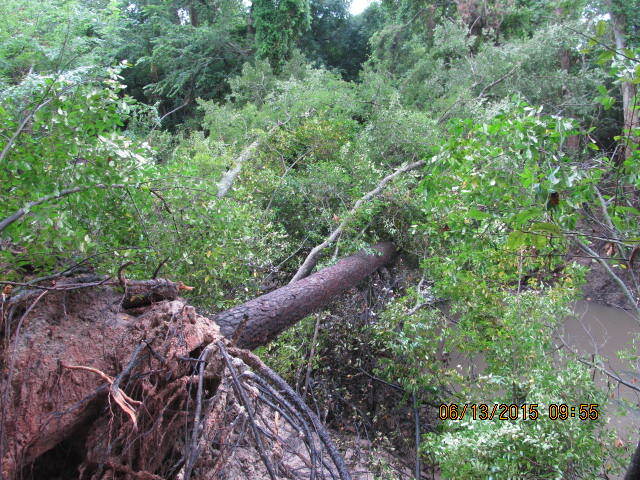 Property owners upstream had flooded and property owners downstream who had hoped for more moderate flows were instead seeing long-standing trees falling into the fast-flowing stream, banks eroding, sediment collecting, debris causing water to back up onto their property. Why was this happening and is there a way out of it? It was a dark and stormy night. Thunder boomed and heavy rain pelted the roof as a small group of us sat nervously in the middle of the rising Addicks Reservoir in far west Houston listening to the district commander of the Army Corps of Engineers tell us Addicks and Barker dams are safe. Flanking Col. Richard Pannell last Wednesday, March 9, was a panel of officials from the Corps’ Galveston District office, as well as representatives from the Harris County Flood Control District and Granite Construction, the company awarded the $71.9 million contract to replace the leaky conduits in the 70-year-old earthen dams. The audience was a small crowd of about thirty hardy citizens who had braved the heavy traffic and heavy rain and managed to find the Bear Creek Community Center in the middle of a dark, wet forest despite the wrong address in the Corps’ public notice. Col. Pannell made a thorough and convincing presentation of the history of the dams, the current problems, and what is being done about them. Among other work, the conduits in the two dams will be entirely replaced by new conduits in separate locations. This process will take about three years. 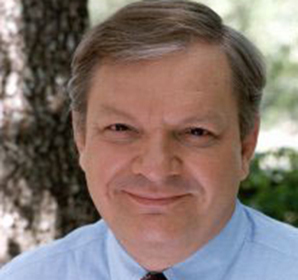 He emphasized that the dams were in no immediate danger of failing and explained that the dams are labeled “extremely high risk” because of the potential consequences to Houston, the nation’s fourth most populous city, in the unlikely event that the dams failed. There were several questions about the capacity of the dams and the impact of repairs on the rate of future releases of water impounded behind the dams. 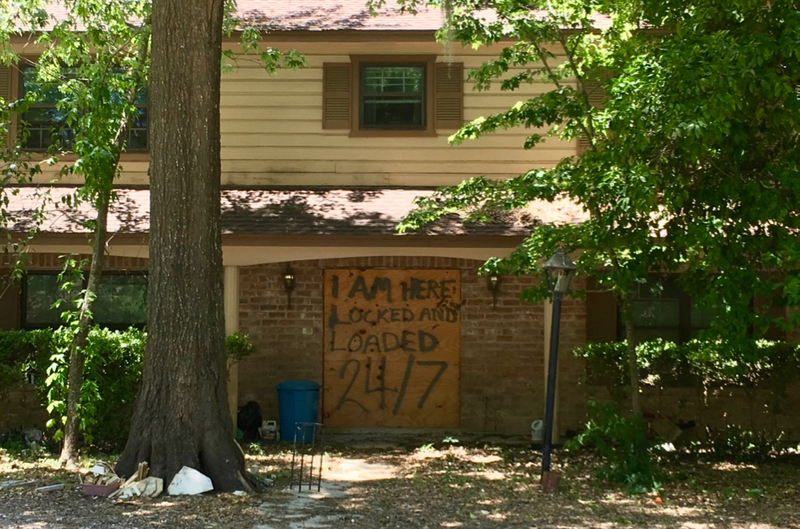 The pattern of extended high releases and rapid drops has been criticized for damaging property on the bayou and killing trees and vegetation that control erosion. After the enormous Memorial Day storm last year, the Corps began releasing impounded stormwater at 3000 cubic feet per second (cfs) for the first time. Normally the release rate is limited to 2000 cfs as measured by the Piney Point gauge. The Corps does not release water from the dams during a rain event, and the high releases began on June 1 and continued for ten days, finally dropping on June 12. The banks were already saturated from the storm, and the damage from the extended high flow was plainly visible up and down the bayou. 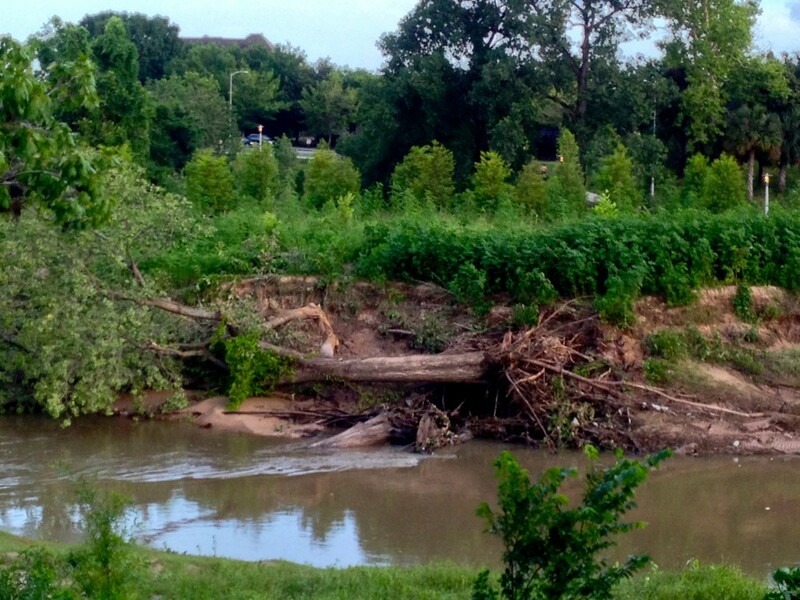 Tree on private property downed by extended high water releases from Buffalo Bayou dams in June 2015. Photo courtesy of Don Jones. The US Army Corps of Engineers, Galveston District, is holding a public meeting Wednesday, March 9, 2016, to update the public about progress in repairing the Addicks and Barker dams on South Mayde Creek and Buffalo Bayou in rapidly developing west Houston. The two earthen dams, completed in the 1940s, were labeled “extremely high risk” in 2009 when engineers noticed seepage around the dams’ gates and ends following a heavy storm. The “extremely high risk” designation did not mean the dams were in danger of failing soon. But the possibility of failure combined with the dams’ location upstream of a major metropolitan area lifted the dams into the urgent category. As a result, the reservoirs, which are dry reservoirs and contain one of the region’s largest parks and recreation areas, cannot be filled to capacity during storms, which impacts the way water is released from the dams before and after storms: faster and more often. (Correction: The Corps of Engineers says that the structural problems with the dams have had no impact on the capacity limit or release rates.) This unnatural flow regime in turn impacts Buffalo Bayou downstream. (South Mayde Creek joins Buffalo Bayou just below the dams.) However, most of the flooding in Buffalo Bayou during heavy storms is caused by surface runoff from buildings, highways, streets, parking lots, and other paved surfaces below the dams, which are closed during rain events. Barker Reservoir. Undated photo courtesy of USACE, Galveston District. 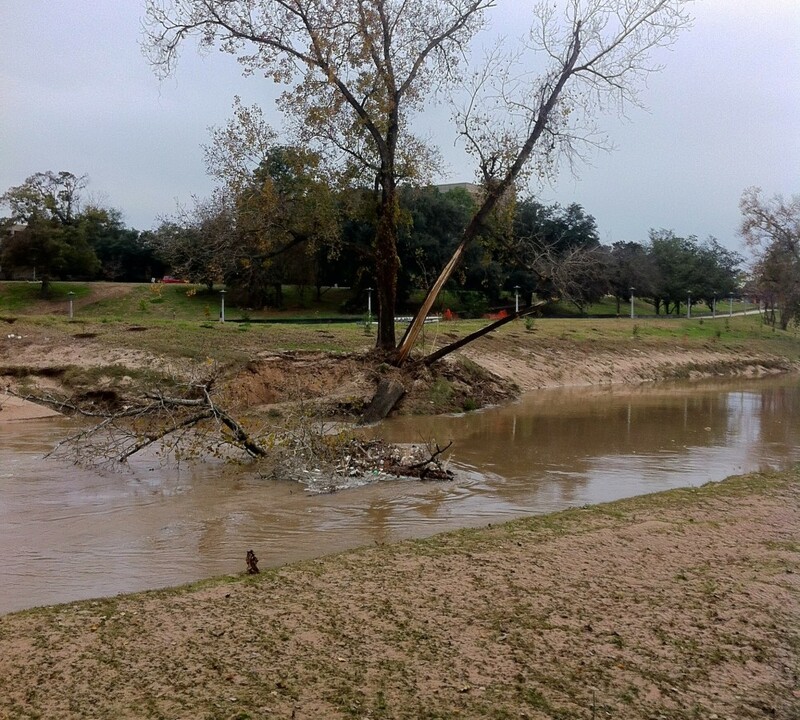 Save Buffalo Bayou on Details of Memorial Park PGA Golf Agreement: Unanswered Questions. Who Benefits. Lack of Public Involvement. Sharon Nesteroff on Details of Memorial Park PGA Golf Agreement: Unanswered Questions. Who Benefits. Lack of Public Involvement. 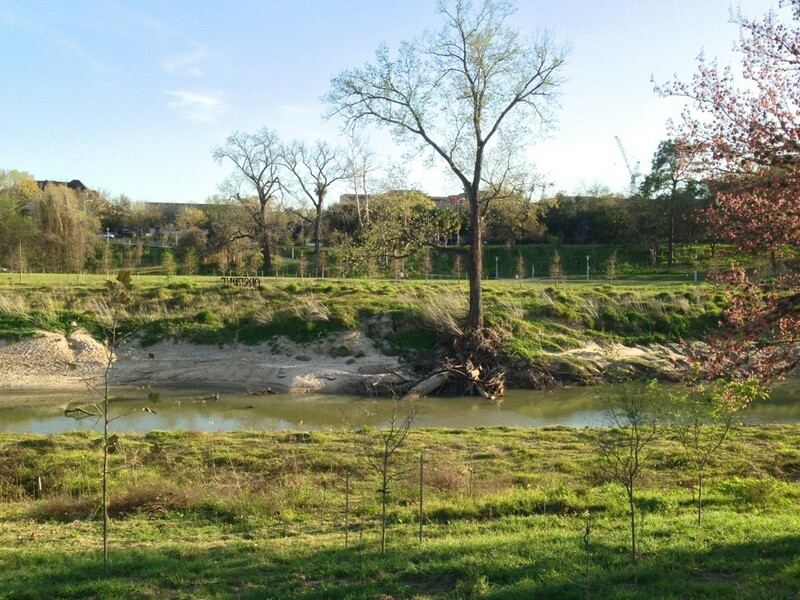 Sign up to receive notices of new posts on Save Buffalo Bayou.